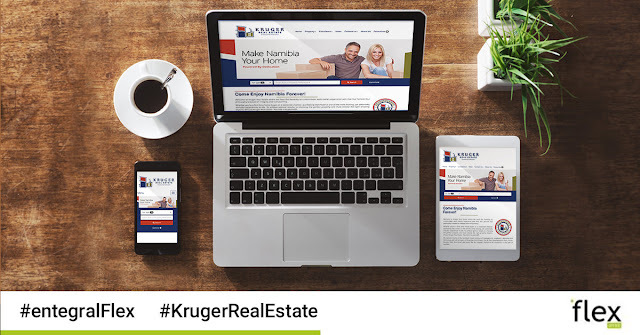 The knowledgeable team of real estate professionals at Kruger Real Estate are, as their motto says “Powered by Dedication,” but their new responsive Flex website is a 100% powered by Entegral. 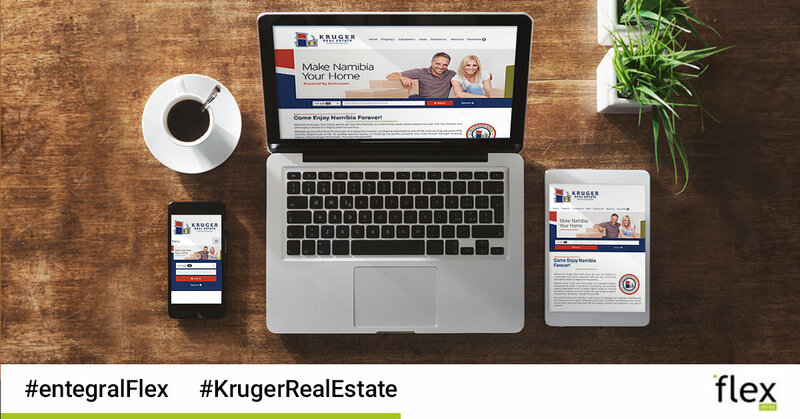 With the launch of their new responsive website, Kruger Real Estate, can now showcase their listings on a website that adapts to any screen size their website visitors are browsing their website from, without compromising on aesthetic and more importantly functionality. They opted to use the Elegant Theme to showcase their Hentiesbay, Swakopmund, Walvisbay and Longbeach properties. Visitors can also make use of the calculators or sign up for a property alert. This product is also Flexible enough to add and customise additional content and information pages as well as industry and company news - a valuable feature if you want to increase the credibility of your website and to increase your chances of high SEO rankings. Visit our website to find out how you can have your own responsive real estate website setup.